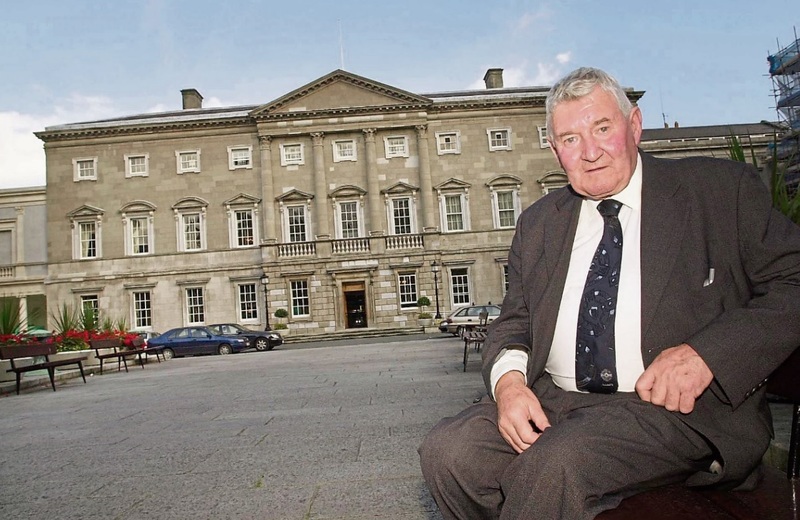 PRESIDENT Michael D Higgins has paid tribute to former Limerick GAA County Board chair and senator Rory Kiely, who has been hailed as “a legend of his time in political and GAA circles” . The native of Feenagh in County Limerick passed away this Wednesday morning. He was 84. Rory held a number of roles in GAA in Limerick, Munster and Central Council in Croke Park. He was the Cathaoirleach of Seanad Éireann from 2002 to 2007. He passed away at University Hospital Limerick following an illness. President Higgins said: "I have learned with sadness of the death of Rory Kiely, a distinguished former member of Seanad Éireann. "Rory served with great distinction over three decades in public life, including five years as Cathaoirleach of Seanad Éireann. 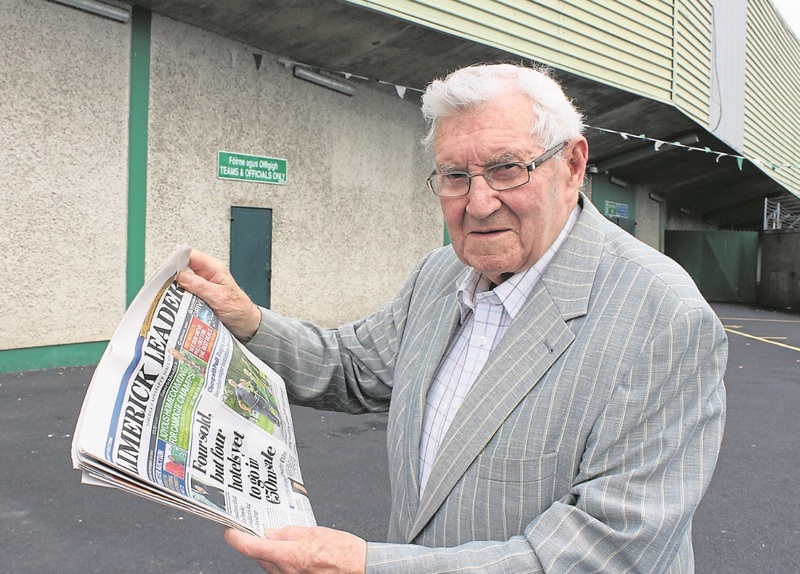 He was much loved by the people of Limerick and will be forever remembered for his almost five decades of dedicated work for the Limerick GAA County Board, including as its President. "I, together with all my colleagues, have warm memories of our meetings with him over many years in Leinster House. As President of Ireland, may I send my deepest sympathies to his children and to all members of his extended family, to his former colleagues in Fianna Fáil and to his wide circle of friends in Limerick, and indeed all over Ireland." Chairman of Limerick County Board John Cregan paid tribute Mr Kiely, recalling his last day in the company of the GAA stalwart last Thursday. “Any words I use won’t do justice to a life-long friend and life-long mentor,” said John, fighting back the tears. “He was a charmer, so likeable and loyal. Personally, from my point of view, I would never have seen national politics but for Rory mentoring me. Until my dying day, I will never forget that about Rory,” said the former Fianna Fail TD. “Rory was a legend of his time in political circles and in the GAA and he gave a lifetime of service to both. He was known the length and breadth of the country and was everyone’s friend. We are really so sad this morning to hear of Rory’s passing. “Coincidentally, last Thursday, we spent our last day together. We travelled to Ballina in County Mayo to the funeral Mass of former colleague Sean Calleary, father of Darragh Calleary. We had a great day together – we talked all the road up and all the road down but really what he enjoyed the most was that he met so many of his former colleagues on the day, they were all so glad to see him. All had a good word to say. Rory was an unsuccessful candidate for the Dáil at the 1969 general election for the Limerick West. He was first elected in 1977, to the 14th Seanad. He was re-elected by the Agricultural Panel to every subsequent Seanad, except for the short-lived 16th Seanad in 1982, until he retired in 2007. He was the Cathaoirleach of Seanad Éireann from 2002 to 2007. A member of the Feenagh-Kilmeedy club, he won three Limerick Senior Hurling titles – one with his club and two with divisional side, Western Gaels. In 1962, Rory captained Feenagh-Kilmeedy to the county Junior A Hurling Championship title. He started his administrative involvement with the GAA in 1953 when he was elected secretary of his native club Feenagh-Kilmeedy. He served on the West Board becoming vice-chairman of Limerick GAA in 1966. Rory took up the role as county Chairman in 1969 until 1980. Rory became Munster Council delegate in 1982 and held that role until 2009. He then became Central Council delegate a role he fulfilled until 2014. A keen follower of horse racing, Rory travelled to all the major festivals and also headed up a number of syndicates through horse trainer Charles Byrnes. He also bred horses at his farm in Feenagh. “Rory was a colleague and a good friend and he will be sadly missed by the GAA community,” said Mike O’Riordan, secretary of Limerick County Board. “We extend our sympathies to his sons Vincent, Roderick, daughters Mairead and Aileen,” he added. Rory Kiely is predeceased by his wife Eileen and survived by children Vincent, Roderick, Mairead and Aileen. Reposing at O'Grady's Funeral Home, Ballingarry on Friday, June 15, from 4pm with removal at 8pm to St Ita's Church, Feenagh. Requiem Mass on Saturday June 16 at 12 noon. Burial afterwards in Kilmeedy Cemetery.